Is that real? The logotype looks a little odd to me, even the caseback looks not quite right. Im no expert on mechanicals so may be completely wrong. Just asking the question, wouldnt want you to get stung. Adam wrote: Is that real? The logotype looks a little odd to me, even the caseback looks not quite right. Im no expert on mechanicals so may be completely wrong. Just asking the question, wouldnt want you to get stung. Ok I got the watch today and opened it up, it's the real deal. The watch is in great shape. The watch is a 6349-8010 serial number 3n0104 I which is not the same as in the photos. The seller had said the photo was not of the actual watch, I missed that. Here is a video of the back opened. Loving this vintage watch for sure. You do know some poor guy in probably India made that dial? It has nothing to do with Seiko. If you're lucky the case and movement might be Seiko. It's wrong. Very poor quality logo to start with. Case is overpolished too. Looks like a shiny blob, sorry. 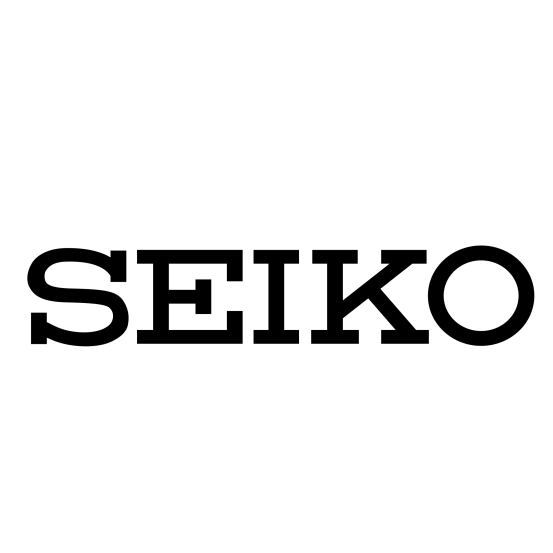 Just a little less harsh, as I got caught on a Ricoh that was rebranded SEIKO. Only paid five dollars for it at a flea market. Interestingly the serial number for the fake seiko I had came up on a Google search as a repeat. First sign of a fake. Similar to the faked 6138-7010 sliderule watches, Google "6138-7010 fake". Good news, your serial number does not come up on a search. Do a Google search of Seiko 6309, your dial style does not come up either. Dial: I would agree on the dial, which is a poor remake at best, but still, if you like it. But think about it, luminous dial, luminous sweep second and non-luminous hour and minute hands. Change the hands for a set of lumed seiko ones. Lots of aftermarket hands on eBay. Movement: always liked the 6309 for robustness and build. Not the prettiest but worth a continued service life. Yours looks real. Case: again, looks real, serial number does not Google as fake but has absolute signs of a major resurfacing with polishing wheel and sandpaper. Having been to India a few times, and looking on eBay for similar climatically acclimated seikos, these watches got HEAVY use in a damp, humid environment. So over polishing the case back is pretty normal. The main body is also very polished and is missing some of the edges it would have had prior to the polish. Now, nice watch, bit gaudy on the dial for my liking. But that can be fixed with a donor dial. Needs luminous hands though to match the dial. I have been to Hong Kong, Shanghai and Beijing and you can find stalls at all the markets where "watchmakers" change batteries, poke around in manual wind watches and cobble together from a parts box a "new" watch. Some sell on eBay.